After an unusually dry and warm late spring, summer is here officially in Sooke. And the fishing is hot. 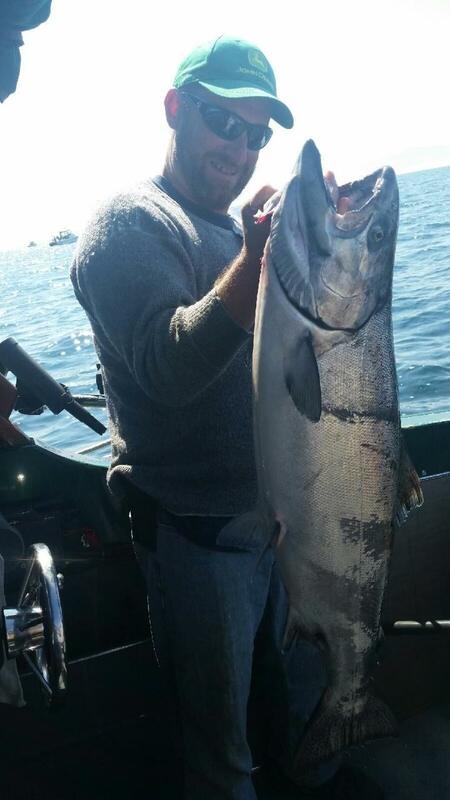 Here's a happy guest with Luke from VIP Fishing Charters with a 40 pounder caught at Muir Creek. The biggies are here! As well, as an odd-numbered year, it means the pink salmon will once again pass through the Juan de Fuca Strait on their way to the Fraser River. That means lots of action, great for fishing with kids. And also great for smoking. This fishery normally starts in July, but they have arrived earlier. 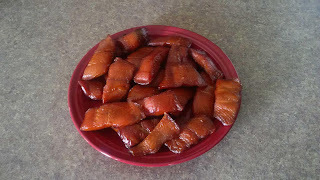 Below's a photo of some salmon candy about to hit the smoker. YUM. Looking forward to a great summer ahead.